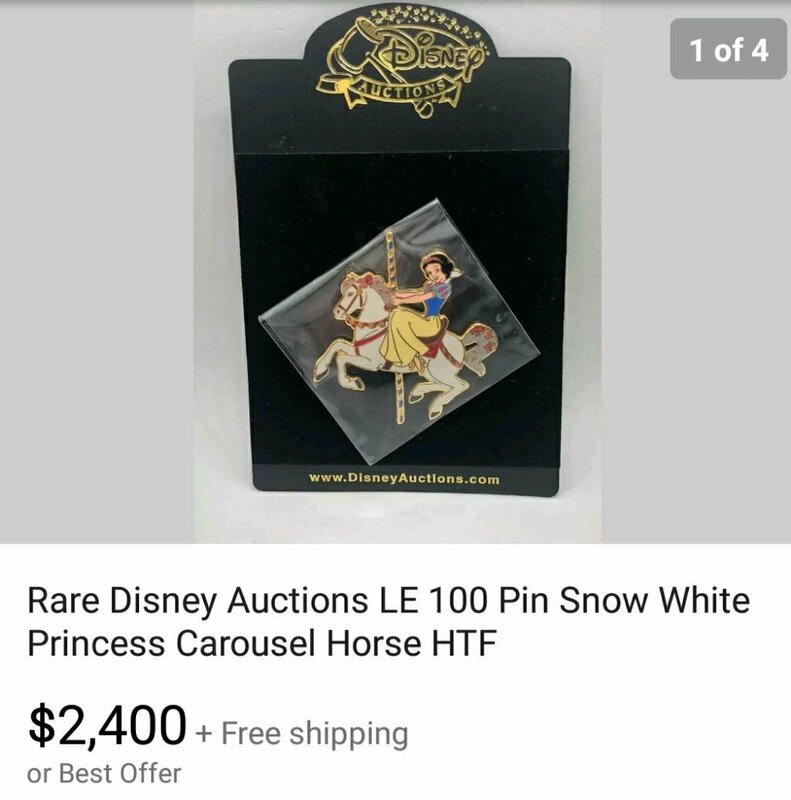 WHY do people post pins for such unbelievable prices? Do they honestly think it will sell for that? Or are they trying to artificially inflate apparent "value" so they can later drop the price to something lower-but-still-overpriced and hook a buyer that thinks it's a good deal? Me, I'd rather sell the pin for its truer value (still high for this one, yes?) and have money in my pocket than an eternal listing on eBay and no moolah. watzshakinbacon and Addicted to Alice Pins like this. TinyTink, LadyBarclay and Addicted to Alice Pins like this. 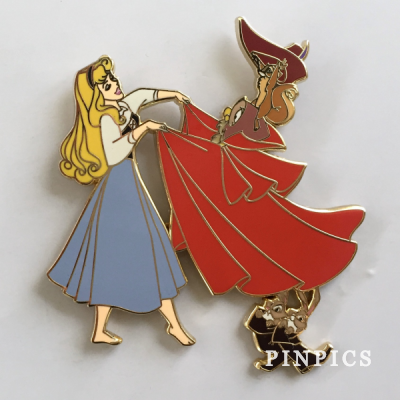 The list goes on with the amount of Briar Rose pins I can never afford! There are others. But I think these are relatively impossible. Haven't been in the pin game long enough to have a 'Never Gonna Get', but I'd love the Jasmine, Esmeralda, Meg and Jane heroine pins in my collection! Not willing to sell my organs though, so I'll need to bulk up on my traders. arielsdinglehopper, LadyBarclay, TinyTink and 1 other person like this. TinyTink, Addicted to Alice Pins and arielsdinglehopper like this. This thing sold sometime today. WHO BOUGHT IT??? And how much did you pay?! I'm going to die of curiosity now. a4matte and TinyTink like this. I sort of wonder...I know people with "not legal" forms of employment will use Lego to launder their money (and those old Disney VHS tapes). You can't just make repetitive deposits of large amounts of cash to a bank without someone tracking it. So they use cash to buy Lego (or steal it is another racket) --> Sell Lego --> nice, clean money going into a bank account that looks legitimate. I also know that there are some shady people involved in pin collecting...see scrapper and counterfeits. So I wonder if some of these big money pin purchases are just used to move money around in a manner that won't attract the wrong eyes. Or if these transactions come with special bonuses (insert your opiate of choice) to "special" buyers. If some real person actually shells out that much cash, then everyone just gets a big LOL. momin.ator and TinyTink like this. I traded for this one more than 10 years ago. What did I trade you ask? These two would be mine! Definitely two of my most wanted since I started trading. I have never seen them for trade, but often for sale on Ebay well out of my price range. Neither listed now. LadyBarclay, caw caw rawr and TinyTink like this. It took me an entire summer to negotiate a trade for this pin. It was worth it. watzshakinbacon and TinyTink like this. This is just an old rack pin. (Actually, a set of two pins.) It's funny how long it's eluded me - I mean, I've gotten a lot of lower LE Figaro pins without much fuss whatsoever. The mini Figaro in this set is ADORABLE. I wouldn't mind having Pinocchio, too, since he's holding books and would fit in my bookworm collection - but c'mon. Obviously, Figaro's the one I NEED. I've never been able to trade for it on PinPics, and I never see it on eBay. (Sometimes, Pinocchio alone, but never together.) A few years ago, in one of the Black Friday groups on Facebook, the ONE TIME I saw Figaro for sale - someone sold it for less than $10(!!!) but I missed it by seconds. The memory still haunts me. 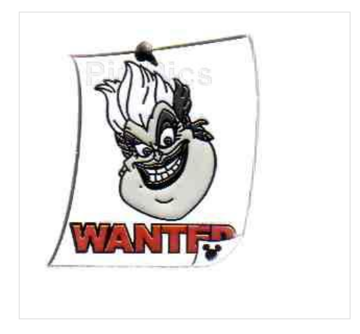 Sure, there are also some really HTF Figaro pins on my wants list - like LE25 pins from framed sets and whatnot, but I have made peace with the fact that I'll probably never have those. They don't bug me as much as this! coblj003, TinyTink, Addicted to Alice Pins and 1 other person like this. There's a horned king progression set at My D Pins for $500! My main problem is that I don't like to buy pins because I find it much more fun to trade. So my hard to find pin is a crappy little hidden mickey that's probably all over eBay but I'm not buying it because I'm stubborn. I actually saw it on a CM lanyard once but passed it by because I thought I'd already had it. Four years later I've never found it again, not even with other guests at the Epcot tables and it's getting on my nerves. Also the villains profiles solely because I refuse to report that kind of insane price gouging. I've been thinking bout this post for awhile, because I had two of this pin and am looking everywhere for my second one - but I guess it's one of the ones I traded on the boards at LIAA. Awwww, thank you anyway! I appreciate it! Pin Pics # 64892. LE 2. That's right, 2! I'm pretending like this pin doesn't exist when I eventually reach Gaston completist status. 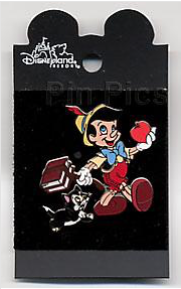 Oh, and the Peter Pan version of this pin is currently on the bay for $800. Yeah, I'm going to pass. Soooo how much are you going to hate me when I tell you that I somehow managed to grab this for $150 (or something stupidly low like that - it was a year or two ago, I forget but I know it was waaaaaaaaaaay under what it normally goes for)? 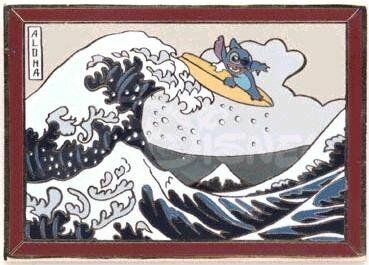 TinyTink, Disneychildwithin, Addicted to Alice Pins and 2 others like this. 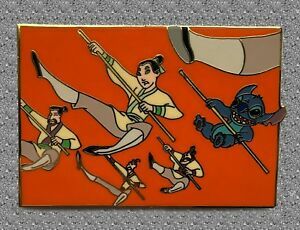 I could get this LE12 Reluctant Dragon pin from the Naughty And Nice framed set off of an eBay seller anytime I want. It would make me a Reluctant Dragon completist! TinyTink, Addicted to Alice Pins, starry_solo and 1 other person like this. You got a great deal! I've been told Ursula/Vanessa goes for $800-1200. TinyTink, coblj003 and starry_solo like this.